In 1963, Yasuko Hasegawa forms a study group for IBM 709/7090 computer. She starts volunteering to teach computer to young faculty and graduate students of Kyoto University. 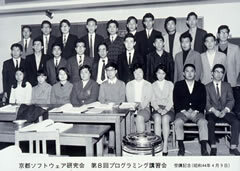 In 1966, At the newly opened computer centers at Tokyo University and Kyoto University, Yasuko volunteers to instruct computer programming to young faculty, research associates, and graduate students. For the public, Yasuko initiates Kyoto Software Research Group and, together with her husband Shigeo Hasegawa, holds workshops on various applications. Local college graduate students and research associates from companies attend. In 1968, Yasuko and Shigeo install a micro-computer, JACOM 110 (Nihon Musen) for business computation. They change the workshop name to "Kyoto School for Electronic Computers." They begin accepting high school graduates, too. Shigeo foresaw great possibilities in the approaching information age and believed that educating technicians in large numbers would build the foundation necessary for engaging in the coming age. Yasuko and Shigeo went to the Ministry of Education to discuss the above-mentioned thing, but the Ministry of Education was not interested in that. Therefore Yasuko and Shigeo decided to establish computer school by themselves. In 1969, "Kyoto School for Electronic Computers" is officially recognized as the first full-time school in Japan for training high school graduates for career in information data processing and computer science. Yasuko and Shiegeo install a micro-computer, HITAC 10( Hitachi) for technical computation. They change the school name to Kyoto Computer Gakuin (Kyoto School of Computer Science.) Shigeo Hasegawa becomes the official first president of the school. KCG was the first school in Japan to offer an education in information science. Student enrollment increased rapidly in the first 10 years, from under 10 students to over 6,000. 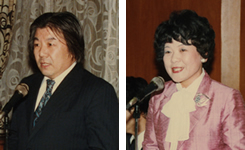 After Shigeo's sudden death in 1986, his children, Wataru, Yu, and Akira joined their mother, Yasuko Hasegawa, in the effort to keep the KCG spirit growing, despite decreasing enrollment. 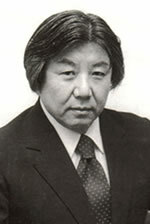 In 1988, the Hasegawa family began to direct their pioneering spirit to countries where computer education was not yet widely available. The resulting program, International Development of Computer Education [IDCE], was initiated with a donation of 3,000 sets of KCG’s used computers. In 2005, they founded Japan's first graduate school specializing in information technology. For the past 44 years, KCG has been devoted to developing the culture of information science in Japan, and for the past 19 years, KCG has extended this devotion into the world. The earliest inspiration for the founding of the Kyoto Computer Gakuin (Kyoto School of Computer Science) came from Shigeo and Yasuko Hasegawa, who was the very first woman astrophysicist at Kyoto University. 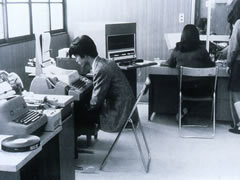 In May of 1963, Yasuko was among the earliest users of the KDC-1, a digital computer having already been installed in the College of Engineering in Department of Technology at Kyoto University. While the KDC-1 required the use of a complex machine language, the advent of the IBM 709/7090 and user friendly FORTRAN rapidly expanded. Yasuko initiated Kyoto Software Research Group. 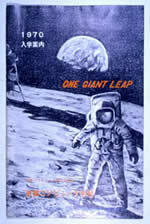 At that time there were no Japanese computer text books. In order to use computers, they have to learn from the computer company’s manual book. It was difficult to understand it for the beginners. Yasuko and her study group started computer programming seminar for young faculty members, research associates, and graduate students in Kyoto University. Later, there were more participants from following schools; such as Kyoto institute of Technology, Kyoto Perceptual Medical College, Doshisha, Ritsumeikan, Osaka Medical, and Kobe Universities. The seminars covered such topics as "Advanced Techniques on Electronic Computer Programming for Science and Engineering", "Numerical Methods and Applications", " Computer simulation", and " Computer Application to Medicine". Critically acclaimed as the first of their kind in Japan, these seminars later on embraced the participation of surrounding industries such as Kansai Electric, Shimazu Mechanical, Takenaka Electric, Tateishi Electric, Nisshin Electric, Nippon Pharmaceutical, and Mitsubishi Industry. The continued escalation on growth of the computer industry during the following years led to increased participation from the general public after those which sprang up in Tokyo in the mid-60's. Thus, in August, 1969, Yasuko and Shigeo Hasegawa officially made the school into a full-time institution for the training of computer scientists and for general public and named it Kyoto Computer Gakuin (the Kyoto School of Computer Science). The curriculum was designed especially for high school graduates who chose not to attend four year colleges but desired training for careers in data processing and analysis. Name changes to Kyoto Software Study Group. Offers a workshop entitled " Application Techniques of Electronic Computers." Installs a micro-computer, JACOM 110 (Nihon Musen) for business computation. Name changes to "the Kyoto School for Electronic Computers." Begins accepting high school graduates, too. Officially recognized as the first full-time school in Japan for training high school graduates for career in information data processing and computer science. Installs a micro-computer, HITAC 10( Hitachi) for technical computation. Name changes to " Kyoto School of Computer Science." Shigeo Hasegawa becomes the official first president of the school. Installs a micro-computer, TOSBAC1100 (Toshiba) for business data processing. And a DPS, RICHO TYPER (Richo Inc.) for tape punching. A new Rakuhoku Campus Building is completed. Installs a mini-computer, TOSBAC 40 ( Toshiba) for technical computations with TSS terminals. Installs a medium size computer, TOSBAC 3400 (Toshiba) for practical training for the operation of a large computer system. Installs a large computer DIPS-1 DEMOSE-E 200B together with an in-house TSS on-line data communication system for the first time among educational institutions in Japan. Introduces a new major program, Information Engineering. The Kyoto School of Computer Science is approved as a vocational college under the new law on SENSYU-GAKKOU in engineering. Receives the same approval for the Kamogawa and Shirakawa Campuses of the Kyoto School of Computer Science. With the completion of a new Computer Center, a large computer UNIVAC1106 TSS is installed. Installs UNIVAC Vanguard I TSS. Completes the office computer center. Completes the third large computer center. Complete the fourth large computer center. Installs IBM 370/158 TSS. Introduces a system to check out a personal computer free of charge to all students. Completes the fifth large computer center. Installs IBM 4341-M12 TSS and UNIVAC Vanguard II TSS. Curriculum is approved for the present Hyakumanben Campus. Curriculum approved for the present Takano and Kyoto Ekimae Campuses. The first president and husband of Yasuko Hasegawa passes away. Yasuko Hasegawa, co-founder, becomes the second president. Installs IBM 3031-A08 multiprocessor TSS. Installs UNIX machine UNIVAC SERIES 7000. Upgrads UNIVAC Vanguard II, and establishes Information Science Laboratory. Reconstruction of the Kamogawa Campus building begins. Upgrades UNIVAC Vanguard II (Multiprocessiorization). KCG 25th Anniversary commemorative Ceremony and Alumni Reunion. The IDCE program becomes an official non-profit chapter of KCG. The school magazine " Accume" is launched, which consists of contributions from KCG graduates. The Boston Campus of the Kyoto School of Computer Science opens at the introduction of a new major program at KCG called International Information Processing. They announce re-construction program of Kyoto Ekimae Campus. Installs UNISYS 2200/400, HITAC M-640/40 Diadic processor. IDCE sends its first group of volunteers to Thailand with the donation of 351 sets of computers. IDCE goes to Ghana and Poland for the development of Information Education. Holds the commemoration of the new Kyoto Ekimae Campus. Introduces a system to check out a 32 bit personal computer free of charge to the students. IDCE goes to Kenya for the development of Information Education. Holds KCG 30th Anniversary and Commemorative Ceremony and Alumni Reunion with Special Performance: Ministry of National Education in Poland sends the dance trope from Warsaw University of Technology for their Japan debut. Introduces a new major program, Art & Information. Announces a new computer educational System "King". IDCE goes to Zimbabwe for the development of Information Education. "King" is successful in providing complete compatibility of Windows, DOS/V, and multimedia application. Akira Hasegawa initiates a friendship program between KCG and Rochester Institute of Technology. Educationlal cooperation Agreements was concluded with Xi’an Foreign Language University in Xi’an,China. RIT Graduate School Joint Graduate Program Started. KCG 35th Anniversary commemorative Ceremony. Educationla eooperation Agreements was concluded with Capital Normal University in Beijing,China. Established a joint department with the Tianjin University of Science and Technology. Computer training program to the Republic of Nigeria started. KCG New York Office was founded at WTC in NYC. Donate 349 computers for Japanese Lanuage education program in Europe. KCG Beijing Office was founded in the National Library in China. KCG 40th Anniversary commemorative Ceremony and Alumni Reunion. The Kyoto College of Graduate Studies for Informatics (KCGI) was founded as Japan’s First ＆ the only one IT Professional Graduate School and opening ceremony was held. Established a joint department with the the Mongol Business Institute. Computer training program to the Republic of Tanzania started. KCG New York Office re-opened at Rockfeller Center in NYC. Japan chapter of Association for Information Systems (NAIS) was founded at KCGI. Academic & Research Cooperation was conducted with Center for Information Security Technologies （CIST）at Korea University. Business Partnership was conducted with FPT Corporation in Vietnam. Completes the new Kyoto Ekimae Campus. KCGI and Korea University's Graduate School of Information Security jointly hosted a Japan-Korea collaborative seminar. Business Partnership was concluded with Electronics and Telecommunications Research Institute （ETRI）in Korea. President Yasuko Hasegawa won the International Co-operation Special Award from The ITU (International Telecommunication Union ) Association of Japan, Inc. Academic Cooperation Agreement was concluded with Nanjing University of Technology in China.